A recent driver update that was pushed out via windows updates uses a clever trick to determine if it is a genuine device and if it isn’t then the PID (Product ID) of the device is updated to 0000. This has the effect of rendering the device inoperable, even if you downgrade your drivers or use them in another computer. 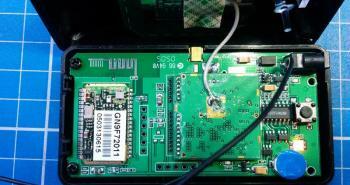 Following a huge backlash from the EE and Maker communities (and i suspect some heavy pressure from Microsoft), FTDI have now removed this from their drivers, however this doesn’t help much if you have already have a device that’s been rendered useless. However as they only update the PID, this can easily be reveresed. So if you have been affected by this, follow the instructions below to unbrick your device. To do this you will need access to a linux based machine. The instructions here are based on using Ubuntu. USB Devices use a combination of VID (Vendor ID) and PID (Product ID) in order to identify the device and which driver it should be using, the VID:PID combination of the FT232R should be 0403:6001, however the recent driver update will change fake devices to 0403:0000 so in order to bring the device back to life we need to set the PID back to 6001. Your done, you have now unbricked your device. Ah, that was brilliant! I had give a friend of mine a modem I built, that was using an FT232R, and one day he came to me quite bewildered with a now non-working modem. I was quite bewildered as well, until I discovered that this was the issue! Thanks a bunch for your guide! The adapter is now working again! Yay! after doing it, windows recognized my device ans assigned it a COM port, but i could not program my funduino (via an USB to TTL adapter with FTDI chip). I’m new to Linux. Each step in this process seems to work fine, except the last one. When I’m in terminal and type “sudo ./ft232r_prog –old-pid 0x000 –new-pid 0x6001”, I get “unrecognized arg: “–old-pid””. I get the same thing when I copy and paste the exact text from line 7 above. ft232r_prog: version 1.24, by Mark Lord. Oh, my gosh. It’s a double dash! Somewhere in the text editors/web editors/etc., the “–” (two en-dashes) is changed to an em-dash in the displayed text (two dashes are changed to a hyphen). I know Word does this edit automatically, so I don’t know if this is a “feature” of M0YOM’s web page editor or something on my end. In any event, THANKS A MILLION. My bricked Arduino Nano (ok, my five bricked Nanos) are now corrected. This has saved me a handful of controller boards. KUDOS! It’s work! But I have problem. Window continuously rewrite PID back to 0000 after unplug/plug cycle. Is it possible lock right value forever? You need to make sure that the driver version you are using is not one that bricks the clone chips. It will be resetting the PID as you are still running the old driver that resets it. This solved a problem or me as I couldn’t get the FTDI device to run on my Mac. It showed up as a bricked device using lsusb. Funnily enough it worked on my PC (Windows 7) . Thanks.